For concerns/feedback regarding the said results, contact Runrio at feedback@runrio.com. Please refer to the image below for pertinent information about road closures and traffic rerouting within the Fort Bonifacio Global City area on Sunday, May 30, 2010. This traffic advisory is being issued in relation to the scheduled Nature Valley Run 2010 happening on the said date. The organizers apologize for the inconvenience this will bring. The BULL RUNNER MAGAZINE – May 2010 Issue OUT NOW! My favorite running magazine’s MAY 2010 issue is now available today! Grab your FREE The Bull Runner Magazine, May 2010 issue with singer/host/actress and runner Karylle at the cover at ROX, Runnr, and Second Wind Running Store, Ortigas Home Depot branch. Other distribution outlets will have their copies available within the week. Ei ladies! As of yesterday, it was announced that the 21k Woman Team Run category is now open to all women from 18 to 45 years old instead of the 35 years old limit which was earlier announced. Other race details still remain the same. Meanwhile, don’t forget to register for the free Running Clinic, the first session of which is scheduled on May 30. 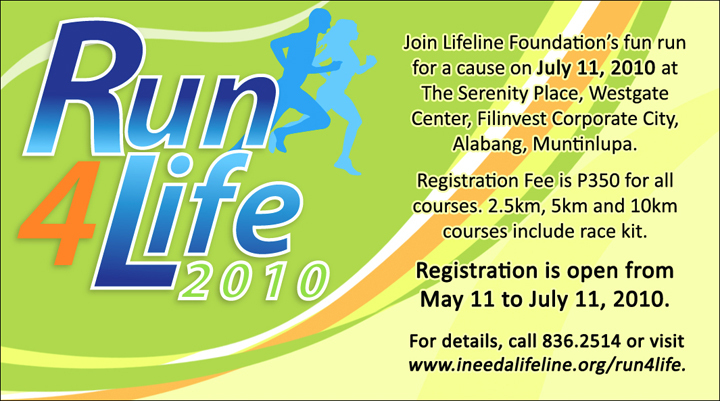 Join Lifeline Foundation’s Run for a Cause! registraion extended until May 27, 2010! Good news folks! 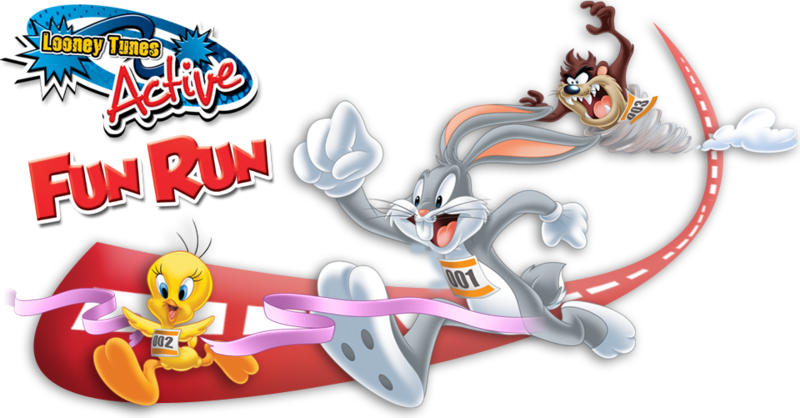 Registration for the Looney Tunes Active Fun Run happening in SM Megamall on May 29, 2010 is extended until Thursday, May 27, 2010. Meanwhile, registration for the SM City Cebu leg is still on until May 30, 2010. The registration kit includes the runner’s race bib and a singlet. See you there on May 29 kids and kids-at-heart!